The National Basketball Association is launching a reality TV show in China. 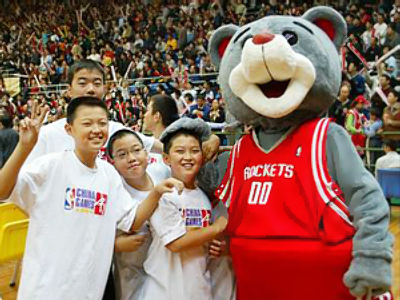 ‘Mengniu NBA Basketball Disciple’ will be NBA's sixth such program of that kind since 2002, but the first outside the US. The winner of the show, to be launched in May, will receive an all-expenses paid trip to try out for the NBA's lower-level developmental league. The move comes as part of NBA’s efforts to build its popularity in the world's most populated country, reports Reuters. Chinese interest in basketball was sparked after all-time center Yao Ming joined the NBA in 2002.